Alliance Pressure Washing and Striping is Dallas and Fort Worth’s #1 striping company. Our family owned striping service in Fort Worth, TX was established in 2007. We serve entire Dallas / Fort Worth area by offering expert striping service to many commercial businesses. We use only the highest quality striping paint for longer lasting color retention, and apply the paint with only top of the line airless striping machines. Our clients’ satisfaction is our highest priority, and we go above and beyond to serve the needs of our customers. 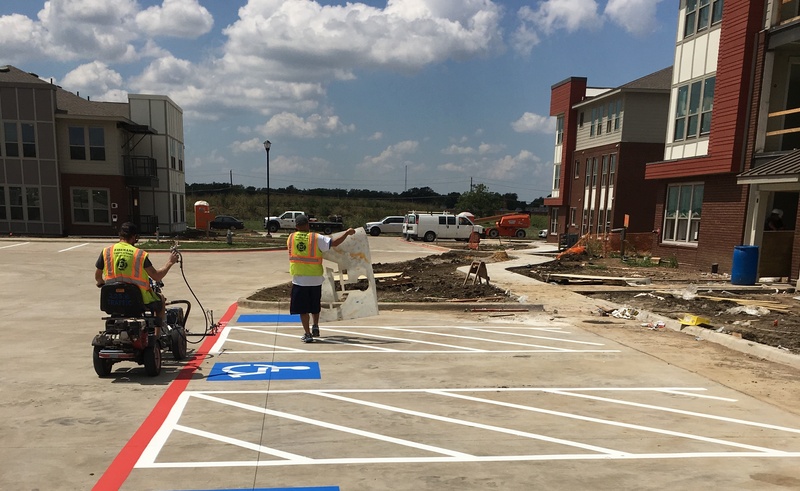 Alliance Pressure Washing and Striping in Fort Worth, TX is a one stop shop for all the parking lot maintenance you will need from Concrete Repair, Joint Sealing, Seal Coating, Striping, Pressure Washing, Wheel Stops, Signage, ADA Compliance and more. 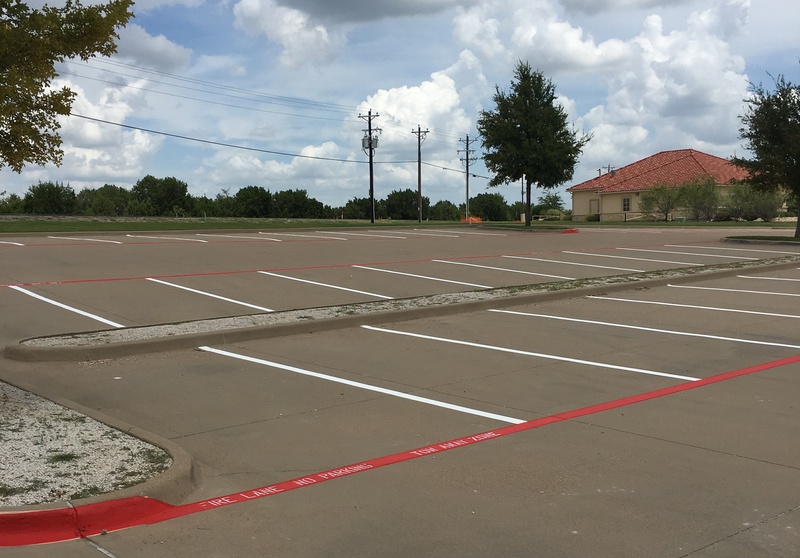 If you are in the Dallas Fort Worth metroplex and your parking lot needs a facelift or needs to meet with the ADA laws, then contact Dallas Fort Worth’s #1 striping company. All services related to pavement painting and striping are covered by our full service parking lot and maintenance company. According to the American Disabilities Act (ADA), businesses must provide a certain amount of handicap accessible parking spaces per 1,000 square feet of usable parking lot space. Handicap van accessible areas are also required if your parking lot is large enough. Trying to understand all of the city codes can be a daunting task. Let us help! Don’t receive a fine for your business because your property is not ADA compliant. At Alliance Pressure Washing & Striping we will advise you on ADA Compliance and ensure your property is ADA compliant when we stripe it. Fire lanes are important for safety and compliance. They are defined as passageways that allow fire trucks to pass through. When designing a fire lane there are specific guidelines that must be followed. We follow the city codes required by the city in which your property is located by marking your parking lot with easily visible and compliant fire lanes. Wheel stops and speed bumps are used for safety and to prevent damage to your property. It is important that they can be seen at all times with visible painting so that pedestrians will not be injured by tripping and falling on them. Call us today to make your parking lot safer and more compliant with city codes!